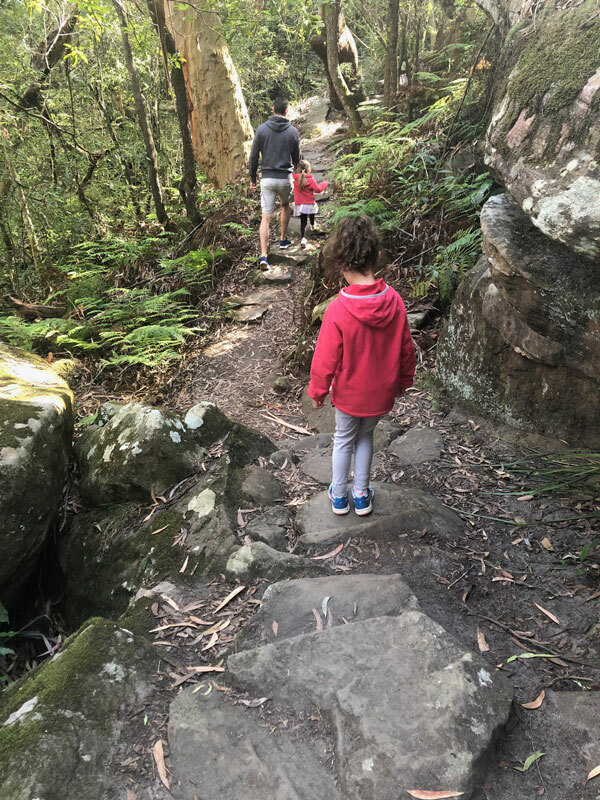 Bushwalks are a great family outing for many reasons. Firstly, you’re outdoors so if you pick a good day for it, it can prove a stunner! Secondly, it gives all the family a chance to be technology free for a few hours, with no distractions and not much else to do but talk and take in the view. Thirdly, it gets kids (and parents) moving, so even if you don’t have a sporty kid they can still do something active. 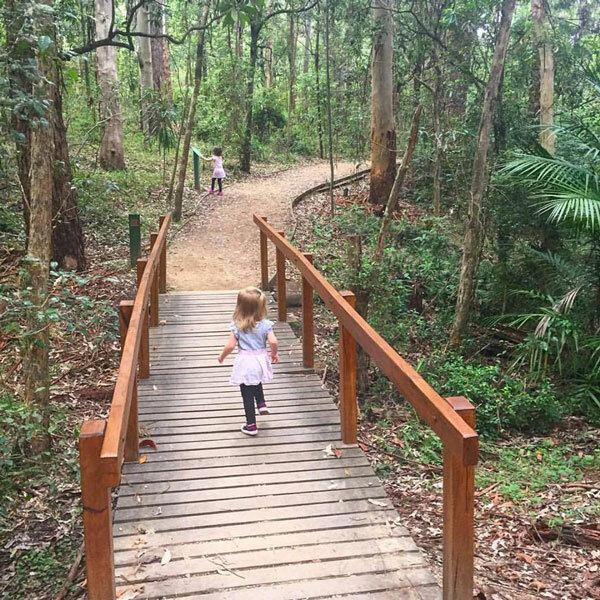 Here are 4 of our favourite kid friendly bushwalks in the area – and there is something for everyone! 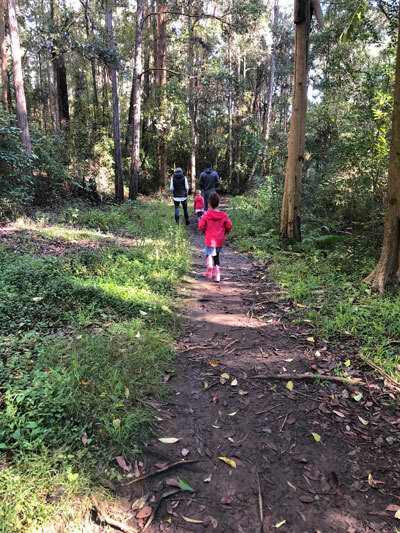 The Platypus Walking Track in Bidjigal Reserve is one of our favourite tracks for a family bushwalk. It isn’t pram friendly, but if you have a baby carrier and your hands free for young kids this one is great for most ages. 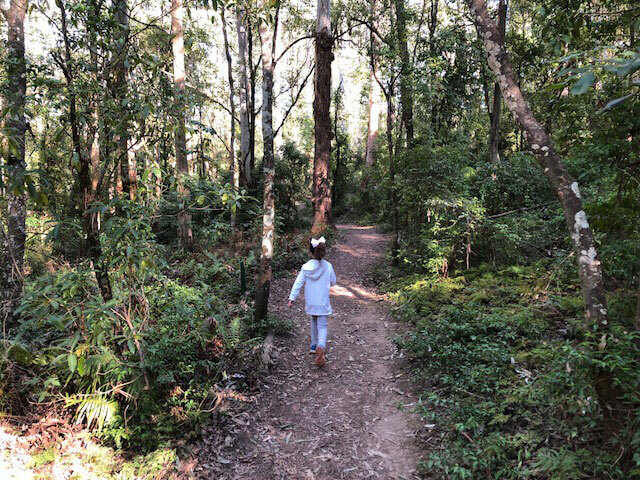 There are multiple walking tracks in Bidgigal Reserve with the most kid friendly being the Platypus Track. The Platypus Track is a 1.7km loop which starts at the end of Excelsior Avenue Castle Hill near Eric Mobbs Reserve playing fields. The track is pretty easy to walk and there’s some fun stuff on the way for kids to manoeuvre over. 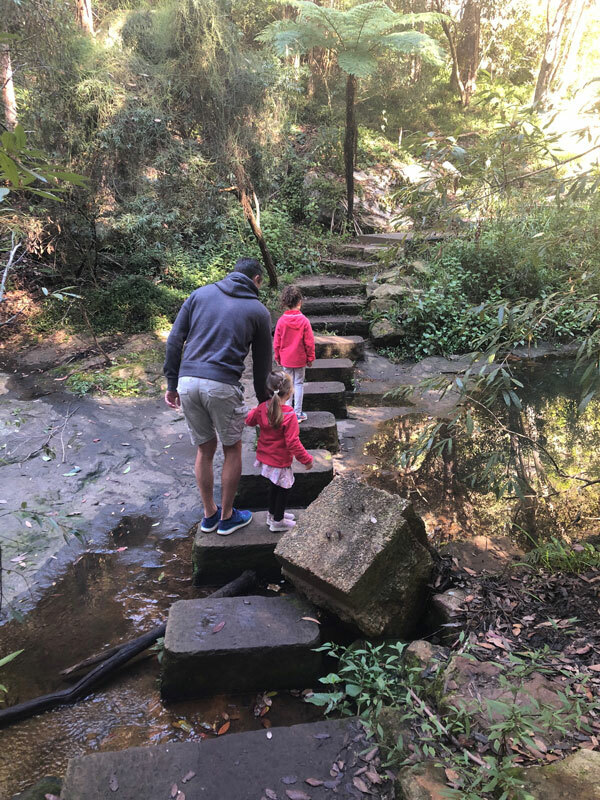 Our kids loved the stepping stones across the creek and were interested in Loch Bruce – once a popular swimming and picnic spot. Full details on this walk can be found here. 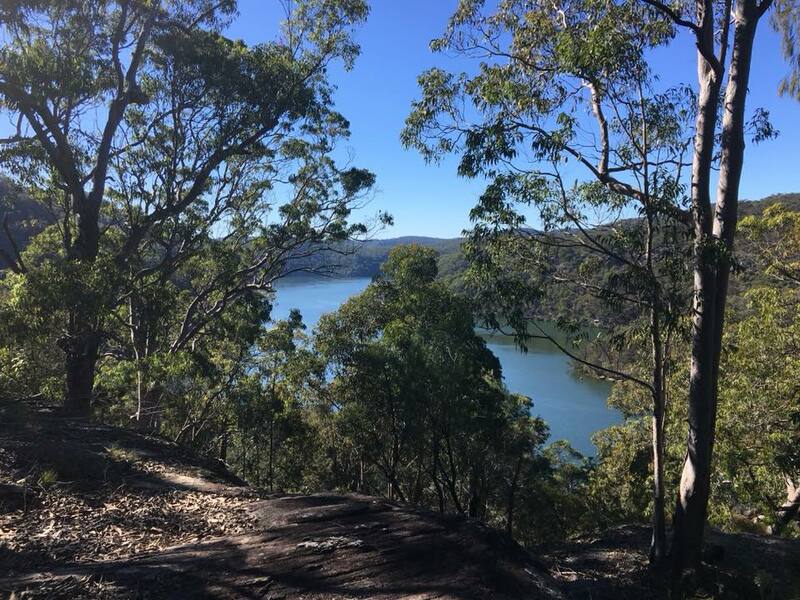 The Calabash Point bush walk from Berowra Waters is a round trip of a little under 8kms, with some ruins to explore too. It’s best for kids approximately 8 years and older and you could also take your dog if it was cool with an 8km walk, but it would be no good for bikes. It can be a little slippery at times due to small rocks and there are a few big hills towards the end. The ruins you’ll come across, which add a little bit of adventure for the kids, are those of the Fretus Hotel. The site was bought by Sydney hotelier John Fretus and the hotel built around 1900. 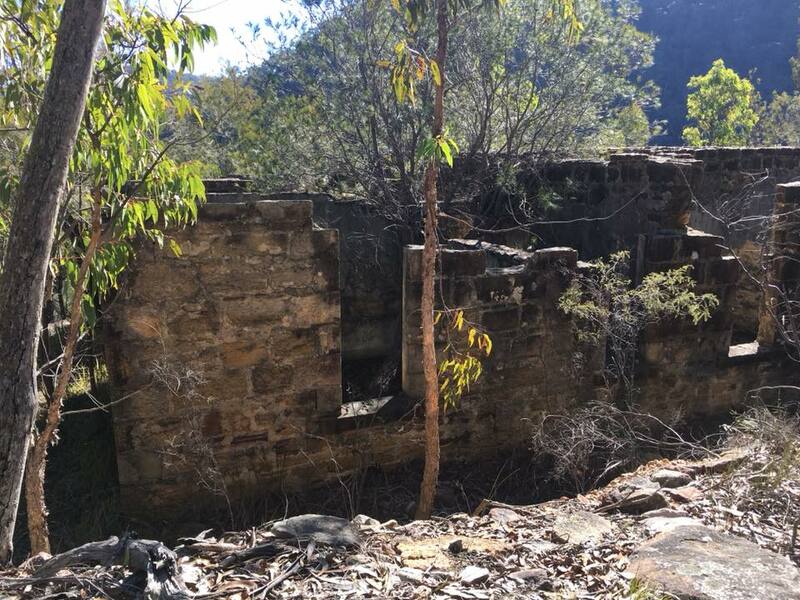 He was banking on the government providing road access however, when these plans didn’t eventuate, the hotel was abandoned in the 1920s as it was too difficult to get to. All up, the walk takes about an hour each way give or take – depends on your company! You can find out more about this walk here. After a down pour of rain you are likely to see some spectacular photos of Balaka Falls. 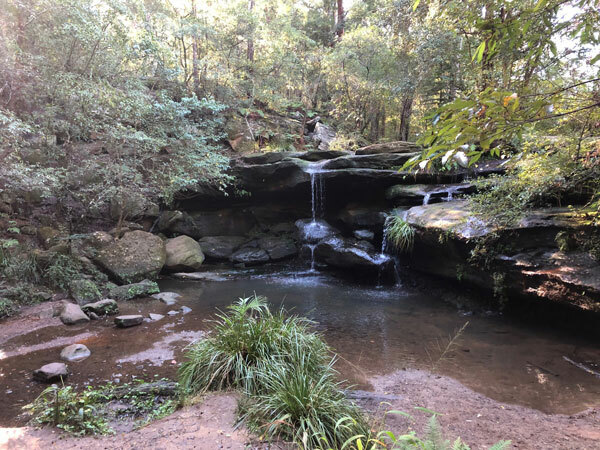 Landscape photographers flock from near and far to take photos of this natural beauty which is hidden within Hunts Creek Reserve, a stretch of bushland nestled behind homes and roads in the suburbs of North Rocks and Carlingford. To be honest we were a little bit underwhelmed with the Falls. It was one of those times that you see amazing photos on Instagram and the reality is significantly different. Obviously the level of rain impacts on the flow of the waterfall but our advice would be to lower your expectations then you are likely to be more wowed by what you see. And be prepared for no waterfalls at all if it hasn’t rained. Don’t immediately discount this one though as Hunts Creek Reserve is a beautiful place to explore. There is a creek to cross and bush paths to navigate. Cumberland State Forest is Australia’s only metropolitan state forest and it’s right here on our doorstep! It contains 40 hectares of native forest and is located at 95 Castle Hill Road West Pennant Hills. There are 3 main walks in forest. The sensory trail is the best in the Hills if you have a toddler and a pram! It’s only 350m and pram friendly. Then there are the Palm Gully Trail which is 1km and the Forestry Trail which is 1.3km. All walks are easy with kids. In addition to the walks there are picnic areas, toilets, a cafe, a nursery and perhaps one of the biggest draw cards for families these days, Tree Tops Adventure Park. You can read more about this one here.